Finding a family vehicle can be difficult. It needs to have space, technology, and decent pricing. The 2019 Honda Odyssey has a variety of trim levels, but what are the prices that match them? Let’s take a look at what prices you can expect for the various trims on this 2019 Honda vehicle. As you can see in the table above, there are quite a few differences between prices and trims. 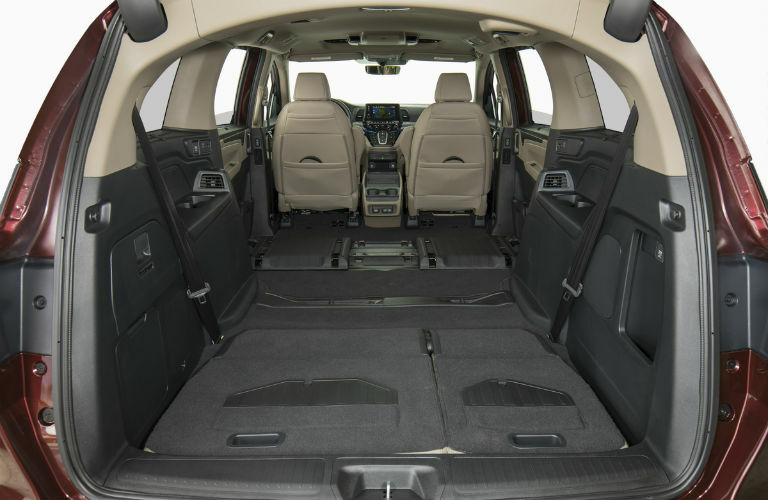 There are 5 trims for the 2019 Honda Odyssey. There are a few alternations between some trims, like the EX-L, which you can get either with or without Navi/RES. Otherwise, it’s fairly straightforward. The variety of trims for the 2019 Odyssey is just the beginning when it comes to specs and features of this 2019 Honda model. Be sure to look out for things like the 4G LTE in-car Wi-Fi, along with Apple CarPlay™ and Android Auto® connectivity. You can also find a 10-inch high-res entertainment system in the back with Blu-ray and streaming capabilities on some trims. For safe driving when it snows, there is Intelligent Traction management, or Snow Mode, on the 2019 Honda Odyssey, so no need to be quite as concerned when you come upon a slippery road during winter. If you are interested in learning more about the 2019 Honda Odyssey or any other Honda models, then please don’t hesitate to contact us here at Matt Castrucci Honda. We are always happy to help you find the vehicle that best suits you! 2018 Honda Odyssey now available at Matt Castrucci Honda! This entry was posted on Friday, June 29th, 2018 at 3:51 pm	and is filed under Honda Odyssey, New Vehicles. You can follow any responses to this entry through the RSS 2.0 feed. Both comments and pings are currently closed.